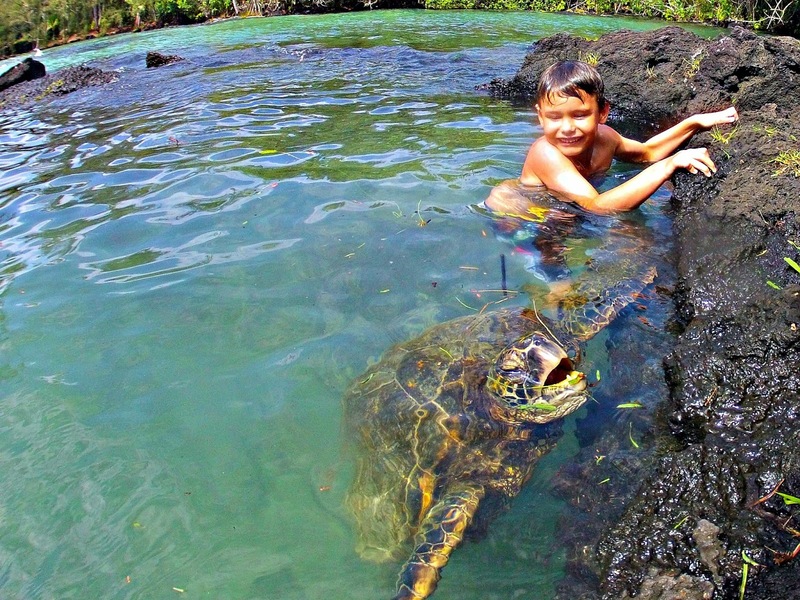 Family Travel Blog : Hawaii Daily Photo: Don't touch the Honu? Hawaii Daily Photo: Don't touch the Honu? What about when they come to you? This curious guy wouldn't leave us alone and he loved my little guy!